Home/Dinosaur and Prehistoric Animal News Stories, Dinosaur Fans, Main Page/The Return of Brontosaurus? There have been lots of comments about the paper published yesterday in the academic, on line, open access portal PeerJ as the resurrection of the genus Brontosaurus has been proposed. Could “thunder lizard” be back? We thought it would be a good idea to summarise the research and provide a brief explanation as to what the paper actually means. So with apologies to the three authors Dr. Emanuel Tschopp​, Professor Octávio Mateus, (both associated with the Museu da Lourinhã, Portugal), Dr. Roger Benson (Oxford University) and to their academic editor Dr. Andrew Farke (Raymond M. Alf, Museum of Palaeontology, Claremont, California, USA) here are our thoughts on the research. Let’s start at the very beginning, why was the dinosaur name Brontosaurus dropped in the first place? It was the famous American palaeontologist O. C. Marsh who described and named the genus Apatosaurus back in 1877. He placed two species in this genus Apatosaurus ajax and Apatosaurus grandis. Both these two dinosaurs come from the famous Morrison Formation (more about this later), A. ajax from Gunnison County, Colorado and A. grandis from Albany County, Como Bluff (Wyoming). Two years later, more bones of a large, long-necked, plant-eating dinosaur were found by an expedition led by Marsh, close to the Albany County quarry where the fossils of Apatosaurus grandis had come from. Marsh named this new dinosaur Brontosaurus (Brontosaurus excelsus), the name translates as “Noble Thunder Lizard”. So we have Apatosaurus and Brontosaurus…. But, during the late 1870’s and the 1880’s Marsh was in competition to find dinosaur bones in the western United States with his great rival Edward Drinker Cope. The personal feud between these two men has become known as the “Bone Wars”. A consequence of their rivalry was a need to outdo each other when it came to publishing details of new dinosaur discoveries. As a result, a number of new species of long-necked dinosaurs from the Morrison Formation came to be erected, some within the Apatosaurus genus, some within Brontosaurus, plus several others as well. In essence, a number of questionable genera were established. By the beginning of the 20th Century both Marsh and Cope had passed away and a new generation of palaeontologists were continuing to explore the strata of the Morrison Formation in the quest for dinosaur fossils. One such scientist was Elmer Samuel Riggs. Riggs discovered an Apatosaurus specimen in 1900 near the town of Fruita, Mesa County, (Colorado). He went on to review and examine the then known, Apatosaurus and Brontosaurus material and concluded that B. excelsus was so similar to ascribed Apatosaurus fossil material that it should be considered part of the Apatosaurus genus. Thus in 1903, in a paper entitled “Structure and relationships of opisthocoelian dinosaurs, part I” (part II dealt with his newly discovered Brachiosaurus), Riggs successfully argued that the genus Brontosaurus should be dropped in favour of the genus Apatosaurus. Brontosaurus was no more, instead it was regarded as a junior synonym of Apatosaurus. Time to erase Brontosaurus out of the literature…. What on Earth does the term “Brontosaurus is now a junior synonym of Apatosaurus” mean? Taxonomy is the science of classifying organisms. In scientific classification there are certain rules. Most of these rules were laid out by the great Swedish botanist Carolus Linnaeus in his publication classifying flowers in 1735. It was Linnaeus who first set out the ground rules for defining genera and species as part of a hierarchy or ranking system that is termed Linnaean classification. A synonym is simply another name used for an object. One of the rules in taxonomy, is that the earlier a name is used the more senior it is to other names used for the same organism. Apatosaurus was named in 1877, Brontosaurus in 1879, therefore when Riggs proposed that Brontosaurus was so similar to known Apatosaurus fossil material, the Apatosaurus name, which had been used first, took precedence and Brontosaurus became a junior synonym of Apatosaurus. Old fashioned illustration but the name is correct after all. Over the last hundred years or so, there have been several reassessments of the dinosaurs included in the Diplodocidae Family. We are not aware of anyone disputing that both Brontosaurus and Apatosaurus should be included in this family of long-necked dinosaurs. Indeed, the fossil specimens referred to as Brontosaurus and Apatosaurus are placed in the same sub-group of diplodocids, the Apatosaurinae (as opposed to the other sub-group in this family which includes the likes of Barosaurus and Diplodocus). This new research has gone further, it undertook a comprehensive revision of the diplodocids not at a genus level, or indeed by looking at the combined characteristics of several specimens that represent a single species, but by looking at individual specimens – lots and lots and lots of individual specimens. The researchers conducted the most complete review of the fossil material that has ever been done. It has taken five years and we think it is the largest scale study of this kind ever carried out. So Why do this Research? The scientists did not set out to establish the dinosaur name Brontosaurus once again. They are not (as far as we know), part of some secret, shadowy organisation devoted to supporting all those lazy movie makers, and toy manufacturers who churned out films, models, dinosaur toys and other merchandise associated with the Brontosaurus moniker. The resurrection of Brontosaurus as a valid genus is just one consequence of an amazingly detailed analysis which set out to review how the Diplodocus Family of dinosaurs was classified from a taxonomic perspective. Something like fifty-five percent of all the diplodocid species known were named and described in the 19th or early part of the 20th Century, often from fragmentary specimens, from dig sites that had been poorly mapped. Approximately, three-quarters of all the diplodocid genera named to date come from the Morrison Formation of the western United States (see, we said we would mention the Morrison again), and no one had yet gone through all the available fossil material with a fine-toothed comb at the individual specimen level and tried to work out how closely related each type of diplodocid was to the other Diplodocidae. How do you Decide a Species? 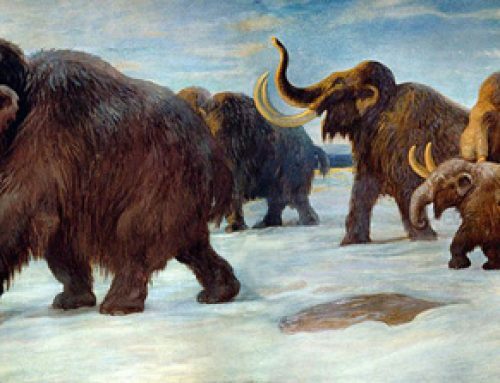 When it comes to extinct animals it’s a lot more complicated. There is not a lot of Diplodocidae DNA knocking about for a start. Palaeontologists look at the bones that they have, try to find bones from the same part of the body, cranial material (skull) or vertebrae for example, can be particularly helpful when assessing the long-necked dinosaurs, these are then compared to find similarities and differences. It helps if mature, fully grown individuals can be compared, for example, we think that the first Apatosaurus species named A. ajax back in 1877 might be made up of the bones from several individual dinosaurs and some of them probably represent sub-adults. This form of analysis relies on the concept that all the Diplodocidae shared a common ancestor and evolutionary relationships can be established by looking at all the anatomical features and seeing which species share the same derived characteristics. The more derived characteristics in common between two species the closer they are on the family tree, in other words, these two species are closely related and would sit close together on a diagram showing the Diplodocidae family tree. In total, the scientists identified 477 different characteristics with which to classify this part of the Sauropoda. They built up a massive data set and then used computer algorithms to examine it all and work out the best “pattern of fit” for the information, what evolutionary tree diagram best matched. When this was done, the statistical analysis revealed that those specimens assigned to Apatosaurus excelsus, were so different morphologically to other specimens assigned to the Apatosaurus genus that they belonged outside Apatosaurus in a distinct genus. Time to resurrect Brontosaurus then and to bring back B. excelsus. Apatosaurus with an identity crisis perhaps? What’s more, this extremely detailed study has thrown up a number of other important points. The Apatosaurinae deck of cards has been well and truly shuffled! A species of long-necked dinosaur that had been named Apatosaurus yahnahpin in 1994 was re-named by Bob Bakker, after a revision in 1998, as Eobrontosaurus. Eobrontosaurus means “dawn thunder lizard”, because it was thought to be more primitive than Apatosaurus. When the eminent Dr. Bakker erected the genus Eobrontosaurus , it permitted the name Brontosaurus, at least in part, to be associated once again with a super-sized, Late Jurassic herbivore from the Morrison Formation. However, under this new more complete interpretation of the Diplodocidae, Eobrontosaurus has gone, along with A. yahnahpin. It turns out that this particular dinosaur shares more derived characteristics with Brontosaurus and as a result, it has been resigned to the Brontosaurus genus and has adopted the name B. yahnahpin to comply with binomial classification rules. Then there is the case of Elosaurus (E. parvus). This Sauropod dinosaur was named and described in 1902 (before the Riggs revision). The specimen was excavated from Albany County (Wyoming), not too far from where the first fossils of Apatosaurus grandis (1877) and Brontosaurus excelsus had been discovered. It was formerly believed not to be too closely related to either Apatosaurus or Brontosaurus, but under this new research, Elosaurus has been “nested” inside the Brontosaurus genus. The fossils ascribed once upon a time to Elosaurus are now Brontosaurus parvus. It really is a case of “Bully for Brontosaurus”! This comprehensive study, a truly Sauropod-sized undertaking has provided a fresh perspective. We applaud the efforts of the scientists behind this research. To trawl through the thousands of specimens, to cope with a fragmentary fossil record, as well as one that has been, in part, poorly recorded and mapped – this is an astonishing academic feat. To be able to determine morphological characteristics for the analysis, whilst contending with ontogenic considerations as well as issues related to distortion, crushing and inappropriate curating of specimens, this is amazing. Furthermore, this analysis has led to other revisions within the family Diplodocidae. For example, the study identifies a number of unique autapomorphies for “Diplodocus” hayi which means that this fossil material represents a unique genus, which has been named Galeamopus (G. hayi). Some of the conclusions made will no doubt, lead to further debate, other revisions have been made by the team behind this research to the Diplodocidae and more will follow as further fossil finds add to the database. But perhaps the most important lesson here has nothing to do with Brontosaurus at all. This research has demonstrated how individual specimen-based analysis can be used to help evaluate the Sauropoda. This approach can be applied to other parts of the Dinosauria and indeed to other sections of the fossil record, potentially revealing fresh, new evolutionary relationships in our study of taxa.